A sewer backup can contaminate building materials and contents with Category Three black water containing solid waste. It may be possible to reduce the extent of mitigation and restoration by taking measures to limit the spread of damage. Here are three ways to stop flooding from spreading from a bathtub backup, flooded toilet or main line backup that affects basement floor drains or a sewer trap. Homeowners may want to try to prevent contaminated water from making contact with carpet, drywall or other porous contents. Any materials that are exposed to this type of damage must be disinfected. As it is difficult to thoroughly clean porous materials, it may be necessary to tear out and replace these items to reduce the risk of bacteria or mold growth. It may be possible to prevent a bathtub backup by blocking a tub drain. This measure may help to make cleanup less extensive. Be sure to plug drains before attempting to clear clogs with a plunger or auger. A homeowner should find a way to stop a sewer backup as soon as possible. If DIY efforts to snake a toilet, floor drain or drain cleanout are not successful, he or she should contact a plumber for blockages that seem to originate at a property. Get in touch with a sewage company for flooding that originates from a municipal main. The sooner the problem is solved, the lower the risk of further damage. These measures may reduce the severity of residential sewer damage. Homeowners can attempt to clear secondary line blockages and clean up minor damage on their own. A main line sewer backup that results in major damage may require the expertise and equipment of a plumber or sewage company and restoration specialists in Kaysville, UT. Water damage can lead to costly repairs at a building in Kaysville, UT. While it may not be possible to avoid damage, maintenance and preventative measures may lower business claim amounts. Here are three common causes of damage with ways to minimize risk. A frozen blockage can cause pressure to build up until a pipe bursts. Some plumbing materials are also prone to corrosion. A building owner should schedule regular inspections and be aware of the age of pipes, the materials used and whether any pipes are exposed to freezing temperatures. Proper insulation and maintenance may reduce the risk of a pipe break. Roof damage can also lead to a business claim. While the leak itself may only be covered if the property owner can prove that negligence was not a factor, the resulting damage is usually covered. It is important to quickly mitigate water damage before mold begins to form. A leaky roof may ruin porous building materials such as insulation or drywall, which will need to be torn out and replaced. Sewer backups can result in major damage that is excluded from most commercial property policies. A building owner or manager should regularly use treatments to prevent root blockages and properly dispose of grease and paper products. It may be worthwhile to install a battery backup for a sump pump or invest in a backwater prevention valve. A sewer endorsement can provide limited coverage for damage mitigation and restoration, but may exclude equipment repair, flooding or poor maintenance. Damage caused by storms can result in claims as high as $26,000, while damage resulting from burst pipes can cost $17,000 or more. 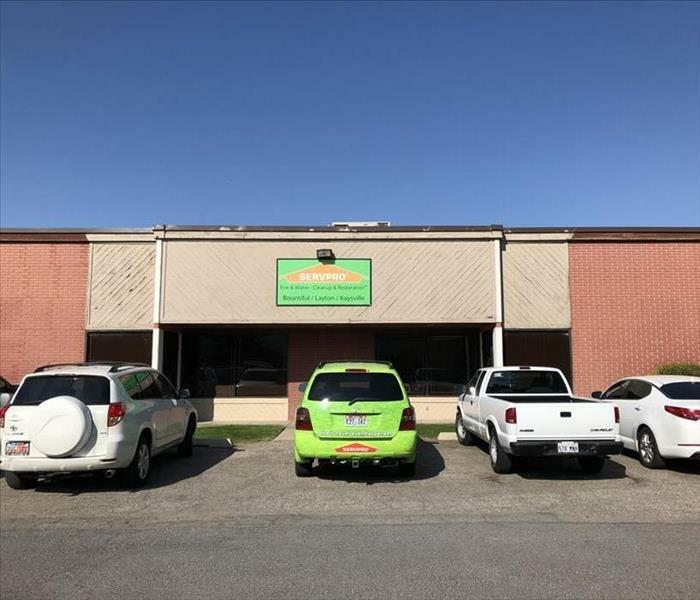 The preventative measures described above can help owners and managers reduce the likelihood of damage that will necessitate filing a business claim for a building in Kaysville, UT. 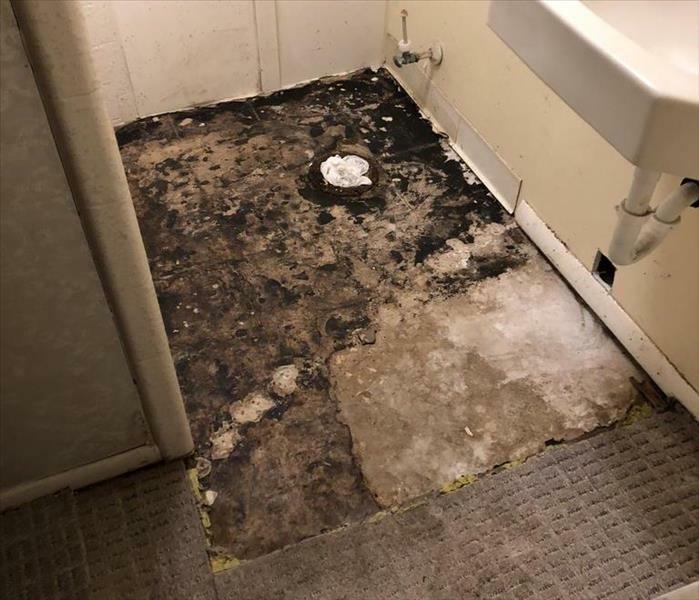 If you discover mold in your commercial building in Layton, UT, you will probably need professional mold remediation services. To protect everyone in the vicinity of the problem and keep the mold contained, they may employ certain procedures. Here are some safety practices you can expect to see when they arrive to mitigate the problem. Wearing proper PPE lowers the risk of exposure to mold. It also affords specialists the opportunity to contain the mold once they leave the main area and step into the containment area to disrobe. To protect the parts of the building that don't have mold growth from spores released during the cleanup process, experts set up a containment area that surrounds the section where the problem lies. When they leave the space being treated, they can take off their PPE before walking through the rest of the building, leaving the spores behind. The containment area is usually sealed off from HVAC vents so that the spores released into the air don't escape and travel throughout the building. Air filters can also be used to prevent the spread of mold. HEPA filters can be particularly successful at trapping mold spores, thus reducing the concentration of fungus and improving air quality in your building. When experts treat your building for mold, they may be able to recommend a good filter to install to help remedy the current issue and prevent future problems. It takes more than just removal of the visible mold to protect your building and its inhabitants from exposure. Protective measures are necessary not only during the remediation process but also for ongoing prevention. There are several steps a property restoration company must do to become part of a vendor program. 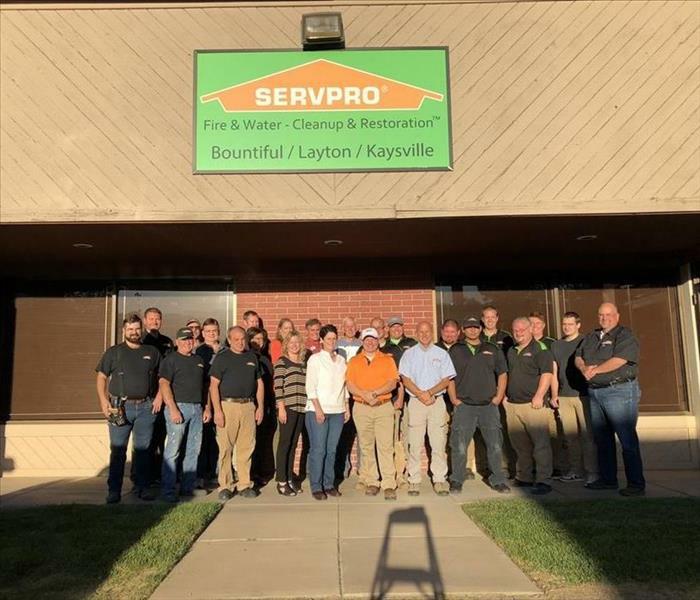 SERVPRO, for example, agrees to 21 guidelines established by insurance companies. Some of these requirements include employee background checks, equipment maintenance, ongoing safety trainings, and proper drying validations. Many of the requirements are measured against standards from the IICRC. The insurance agent, the adjuster, and the underwriters have many reasons to work with companies, such as SERVPRO. Working with compliant vendors makes the insurance company's job easier. Resources, including training, equipment, and account managers, are shared on a national level. Oversight is consistent across the country due to consistent training and audits. Local offices are located all over the country, so customers receive services quickly. Reporting is handled on multiple levels for thorough management purposes. In return for working closely with large insurance companies, preferred vendors get a lot of work sent their way. The cleanup and restoration professionals don't have to spend as much time or energy on marketing. They can refer their clients to insurance companies for positive referrals. A South Weber, UT, insurance agent wants to provide clients with cost-effective solutions. A quick response from remediation professionals and top-quality methods can keep claims costs lower by reducing the potential for further damages. Local franchises that meet the right requirements can be powerful advocates for insurance companies and customers. Some of the most severe water damage takes place while property owners are away from home. It may be days or weeks before a broken pipe or leak is noticed and homeowners can arrange for water pipe repair. 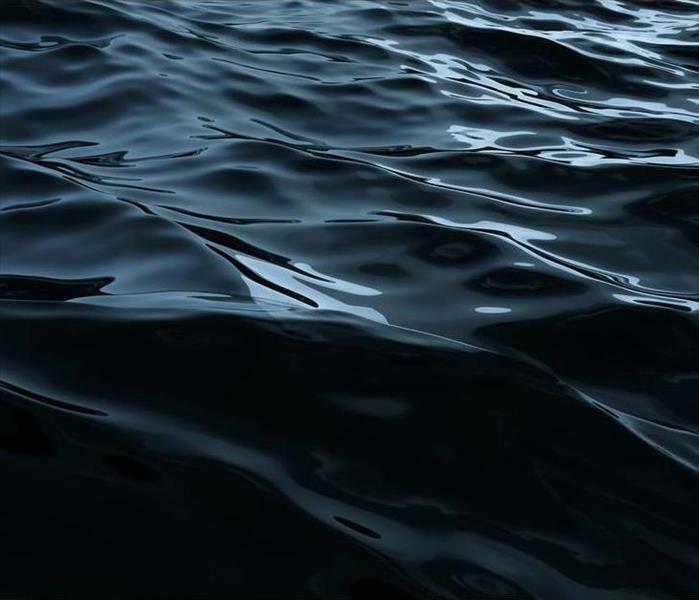 During this time, clean water can degrade into contaminated black water and mold may grow. Here are four ways to prevent water damage during extended periods away from home. Inspect appliance hoses and plumbing for signs of condensation, corrosion or wear. You should also look for signs of roof damage. Homeowners can schedule professional inspections prior to a trip. Homeowners can shut off valves for appliances or the main water supply. 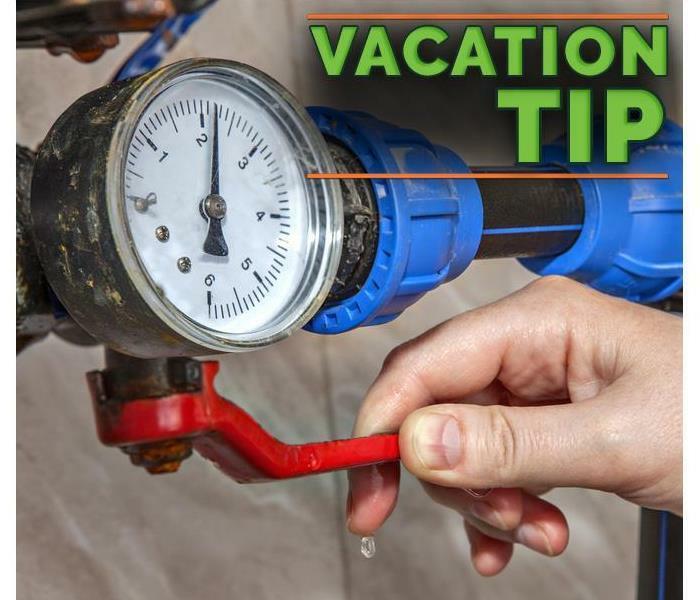 If the plumbing is unreliable or temperatures are expected to drop below freezing while you are away, shutting off the water can be the best way to avoid water pipe repair. Be sure to drain pipes by running faucets and flushing toilets. Ensure that the sump pump in the basement operates properly before you leave. Clean out the intake screen, discharge pipe, pit and vent hole. Fill the pit with water to make sure the pump works. A battery backup should also be available in case of power failure. Keep interior temperatures at or above 55 degrees Fahrenheit during winter trips. Avoid allowing the temperature to rise more than four degrees above the typical occupied setting during the warmer months. High temperatures and moisture support rapid mold growth. Homeowners may want to arrange for friends, family members or neighbors to check in on a property. This can reduce the amount of time between an incident, water pipe repair and mitigation. 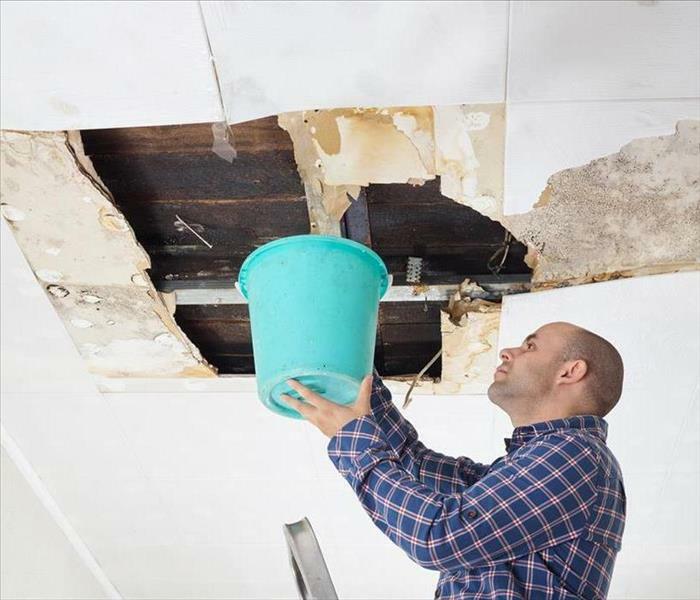 Whether a minor leak starts or a residence becomes flooded, rely on professionals for residential damage cleanup and restoration in Fruit Heights, UT. As a homeowner in Kaysville, UT, you may be concerned about issues with black mold. Fortunately, many mold remediation professionals have recommendations for some prevention steps you can take. They include the following. One of the first steps you can take to prevent mold is to control the moisture levels in your home. Mold grows best in damp and dark locations, meaning that areas like attics, basement, and areas of water damage are susceptible. If you find a wet area in your home, it's best to take care of it as quickly as possible. Many types of mold, including black mold, can be tested for. This means that if you believe you may have mold in your home but can't find it, a remediation professional has the tools to locate any potential mold problems. Testing methods include an air test, a surface test, or even taking a sample of a suspect material. 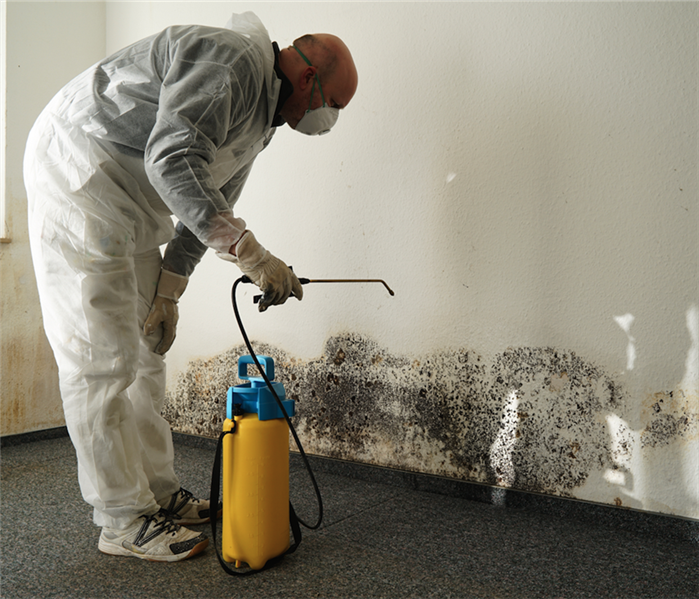 If you find mold in your home, then mold remediation may be your best option. Talking to a professional about your needs can help you both get rid of any mold present in the building, as well as take preventative steps. Some things that may be recommended include taking care of any water damage as quickly as possible, keeping an eye on areas that tend to accumulate moisture such as basements and bathrooms, and regularly checking your home over for any places where water might leak in after a storm. When dealing with black mold, quick mold cleanup is important. If you believe you have mold in your home, you may want to talk to a mold remediation professional. They can perform any mold tests that may be required. Remember, controlling moisture can be an important prevention step. Protecting your home from the wind and rain until repairs are complete. Removing water and eliminating water damage. Removing restorable items and sending them out for restoration. Removing damaged material for disposal. Removing the effects of smoke and soot on your home and its contents. Cleaning your home in preparation for final restoration. Restoring your home to its original condition. It looks like a full-time job. You don’t have that kind of time. You look at the list of preferred vendors and, suddenly, one name jumps off the paper. That name belongs to a company that can do the entire job. There is no need to convince them of the urgency. They already understand that the tarps and plywood must go up immediately. Many people don’t understand the extent of this company’s capabilities. When you excel at something, people tend to forget about your other skills. Providing rebuilding services is a natural addition to their cleaning and restoration expertise. After all, why would you bring in a separate contractor after a fire to rebuild when one can do it all? Having this company do the job is one-stop shopping at its best. You’ve selected the best contractor from the preferred vendor list. You want the restoration to begin quickly. It’s time to make that second call. Those full-service fire remediation specialists are ready to go. You’ve Never Heard of a Building Envelope? The concept is most effective when the entire structure is inside the envelope. Retrofitting envelopes to existing structures is a challenge. It is difficult for them to achieve a comparable level of protection against rain. External portions of the retrofitted structure may still be susceptible to rain damage. Control is important if the business processes demand low levels of humidity. It is also important when circumstances require more moderate levels of moisture. Set the humidity to any level and weather won't affect it. Envelopes are an excellent way to limit inside moisture due to rain. However, remember that they will not solve all moisture problems. You have restrooms. You may have kitchen areas and laboratories. You have sprinklers as part of your fire suppression system. Any of these can make a rain-caused moisture problem look trivial. There are many good reasons for implementing building envelopes. Just don’t expect it to be a cure-all for moisture problems. Your building envelope helped you avoid rain damage, but water never gives up. It always finds a way to cause trouble. When you end up with water damage, the best response is to deal with it immediately. Otherwise, you may encounter that black mold that you hoped to avoid. Skilled water remediation professionals are in the South Weber, UT, area. They are ready to handle your problem and are a phone call away. On average, when a fire breaks out in a home in Fruit Heights, UT, the residents have between two to four minutes to get out of the house before heat and smoke overtakes them. That isn’t even enough time to fry an egg. An early warning system is critical to keeping you safe, especially if a fire occurs while your family is sleeping. The best fire safety precaution you can get is a good quality smoke alarm. Do you know which type is best for your situation? A photoelectric alarm actually “sees” even the tiniest particles of smoke and triggers the alarm and is the best in the event you have a very smoky fire. This would do well in areas where there are likely to be bedding or piles of laundry. An ionization unit uses a radioactive element, which is disrupted when smoke particles enter the field, setting off the alarm. They work best when fires begin in fast burning sources like grease or paper, and might work best in a kitchen, shop or garage. 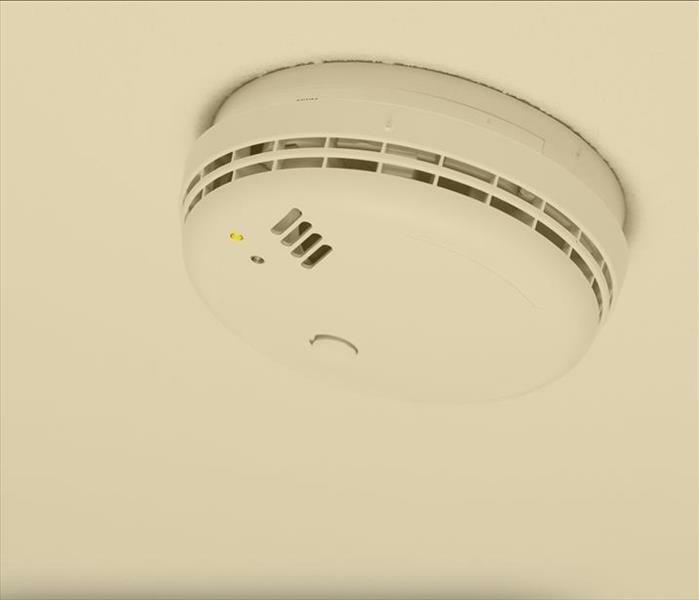 A dual sensor smoke alarm covers both bases effectively but may cost more. Using one of each type in close proximity can give the same benefits. An air-sampling model can sense smoke in the air at minute levels. This may be better for homes with large rooms or high ceilings. You don’t need to choose an expensive model, and it is just as important to get install long-lasting, reliable batteries. While hearing a smoke alarm and getting out in time is the next best thing to having no fire, a blaze can get the advantage on you in a hurry. Calling restoration service technicians in Fruit Heights, UT can help make putting your world back together a little easier. Choosing and installing your smoke alarms is a crucial part of surviving such an event. When mold grows inside your Kaysville, UT, home, your house isn’t the only thing that can be affected. Sometimes, mold can damage your personal belongings, as well. Mold cleaning is not always the solution. There are a few things that you should consider when deciding what to do with items that have been affected by mold. When determining how to treat belongings affected by mold, the extent of the damage is important. If the damage is minimal, then you may be able to salvage them. Non-porous items are more easily cleaned and disinfected, so it is less likely that they will need to be thrown away. 2. How Valuable Is the Item? Even if the damage is extensive, you might be reluctant to get rid of an item if it is very valuable. In this case, instead of tossing the item, you might want to consider mold cleaning specialists. They can help restore the items that have been damaged. 3. Is There a Sentimental Attachment to the Item? Monetary value isn’t the only thing to consider when determining the worth of a belonging. In many cases, it can be more upsetting to lose something with a sentimental value. Cleaning items such as books, paintings, and paper documents is difficult because they are highly porous, but with help from mold remediation professionals, it is not impossible. 4. Can the Item Be Replaced? If there is mold damage on items that do not have a high monetary or sentimental value, the easiest course of action would be to simply throw them away and replace them. Because mold is difficult to remove, the effort might not be worth it for easily replaceable items. It can be distressing when your belongings are damaged, but mold cleaning isn’t always the best option. If you are wondering whether to replace or restore an item, try asking yourself the above questions first.